100% Guaranteed Authentic from SMOK™. 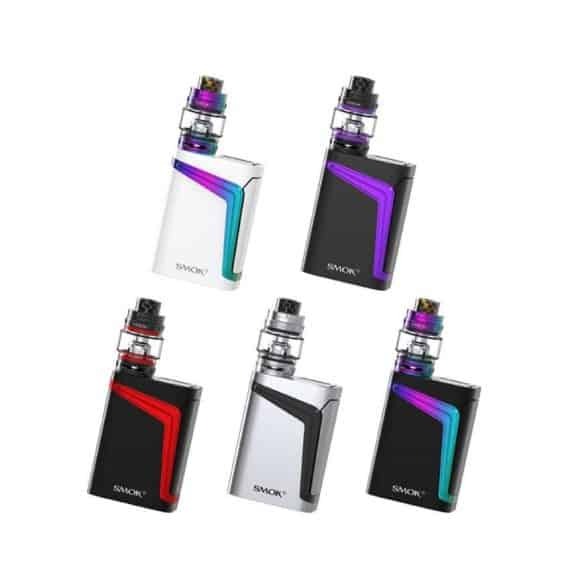 The new SMOK V-Fin is a well-needed addition to the Smok lineup of starter kits. Featuring 160W of power and an ultra-large capacity 8000 mAh internal battery, the V-Fin 160w Kit is perfect for the on-the-go cloud chaser, who doesn’t want the hassle of dealing with removable lithium batteries. 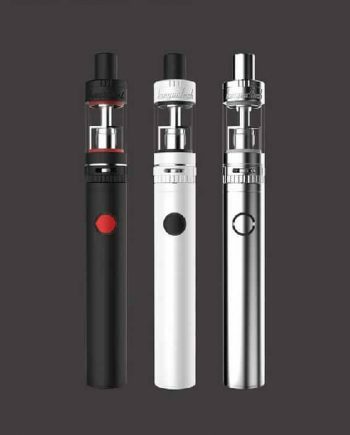 The V-Fin kit comes loaded with everything you need in a fairly compact, yet ergonomically friendly package. The V-Fin uses Smok’s famous Fire Bar, for a quick, effortless vape. 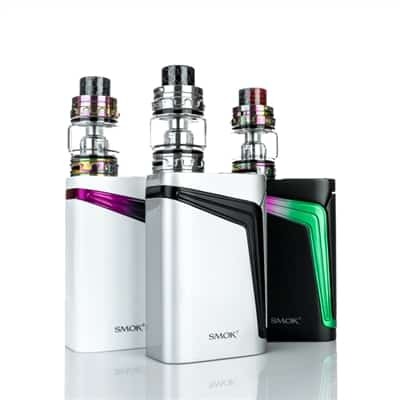 Smok keeps the V-Fin looking sleek with Hidden Top-Mounted Adjustment Buttons. 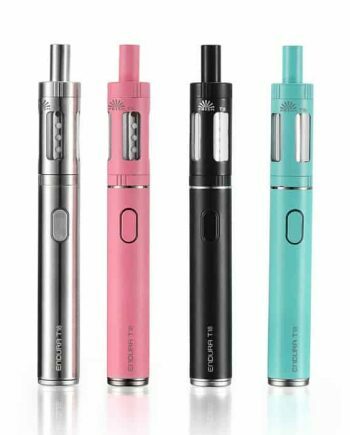 Located under the bright OLED display, the Adjustment Bar allows for easy adjustment of vaping settings and modes. 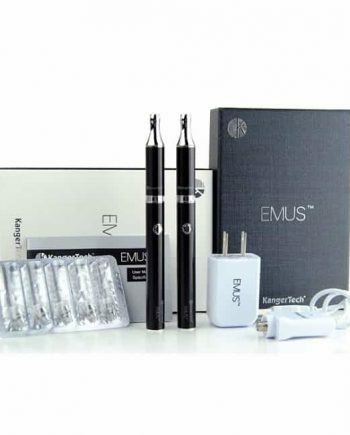 The Easy-To-Read OLED Display keeps you updated with all of your real-time vaping information. 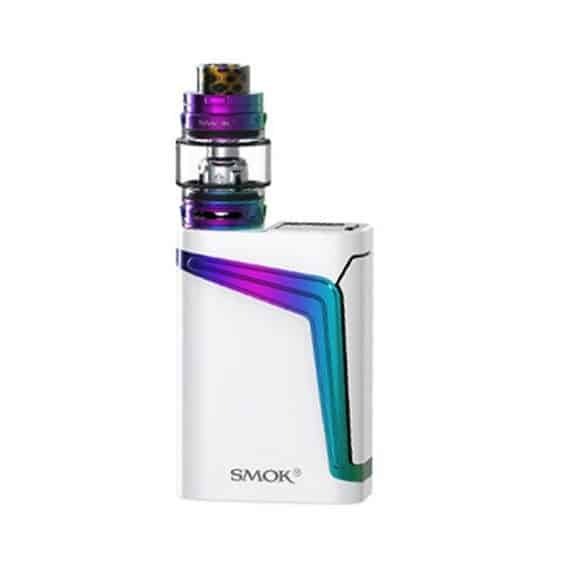 The Smok V-Fin uses the Largest Internal Battery we’ve seen to date. 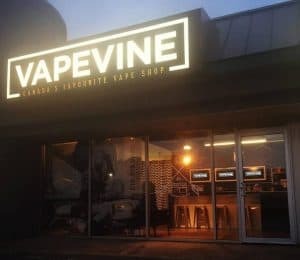 The V-Fin’s 8000mAh Internal Lithium Battery allows you to comfortably vape at High-Wattages all day, without having to buy an External Battery Charger and External Lithium Batteries. The V-Fin’s 8000mAh Internal Battery allows for battery life approximately equivalent to a Triple 18650 Mod, in a much more Compact Platform. The V-Fin is safely charged with an included Micro-USB Cable. 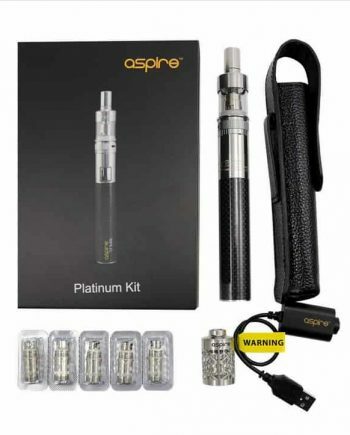 Being a Full Kit, the V-Fin Kit comes with the brand new Big Baby Prince Tank – a 6ml capacity bubble tank – that sits Flush on the V-Fin Mod and features a Stylish Shorty Cobra Honeycomb Resin 810 drip tip and large bottom adjustable airflow ports that perfectly channel airflow for an airy draw.